Outstanding teams and organisations shortlisted in prestigious awards scheme. 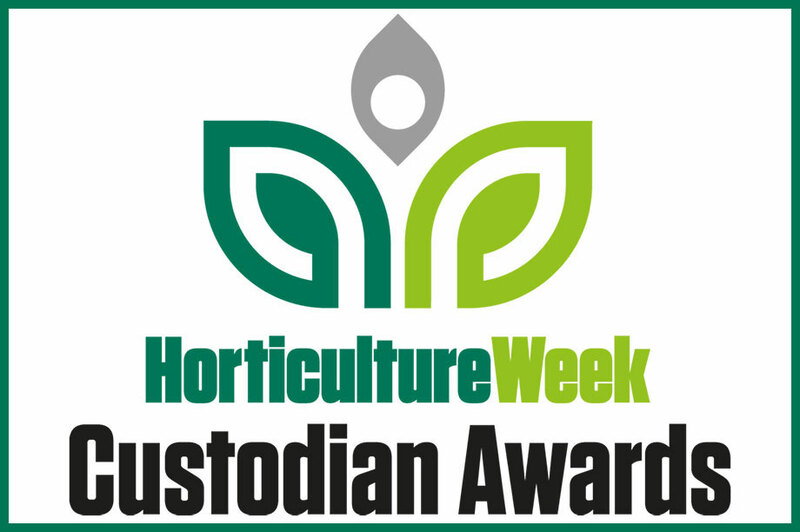 Horticulture Week is delighted to announce the names of the outstanding teams and organisations shortlisted for this year's Horticulture Week Custodian Awards. The finalists were drawn from a bumper crop of entries - nearly double the number in its inaugural and highly successful first year, 2016. The shortlist features organisations that are up for single and multiple awards. It includes representative sites from English Heritage, the National Trust and the Commonwealth War Graves Commission as well as leading local authorities, specialist council teams and independent gardens and arboreta. 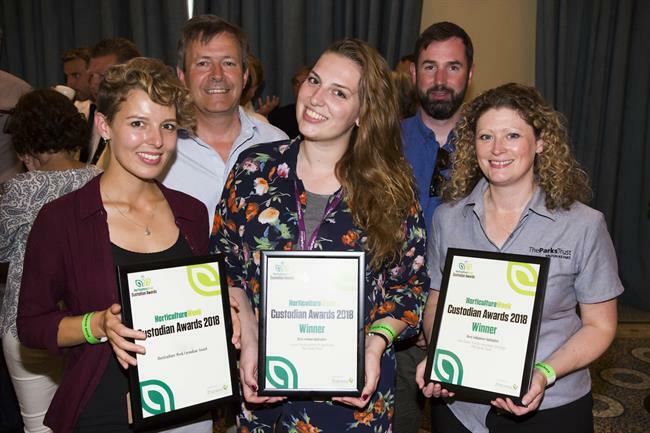 The winners will be announced at a prestigious awards reception and presentation hosted by Horticulture Week at the fabulous Woburn Abbey House & Gardens Sculpture Gallery on the afternoon of 28 June. The awards were judged by an independent panel including Professional Gardeners' Guild (PGG) chair Tony Arnold, HW technical editor Sally Drury, former City of London Corporation director of open spaces Sue Ireland, London Tree Officers Association executive member Dave Lofthouse and master gardener Alan Sargent. Commenting on this year's entries, HW editor Kate Lowe says: "A huge thank you is due to everyone who has made such great efforts to enter the 2017 HW Custodian Awards. Our entries this year prove once again that the best sites in our parks, gardens and tree-care sectors are brimming with talent, commitment and outstanding achievement. Our judges' task to choose the finalists and winners from such a large and high-quality pool of entries was tougher than ever. Thanks are due to each of them for their efforts to ensure all received a thorough hearing." The HW Custodian Awards 2017 charity partner is industry charity Perennial. The awards scheme is supported by the PGG, Chartered Institute of Horticulture and Landscape Institute. - BOOK TICKETS to the awards reception and presentation, please go to www.custodian awards.com. - For more information, email awards manager Sian O'Neill at sian.oneill@haymarket.com. - For sponsorship, email Tim Lomas at tim.lomas@haymarket.com. 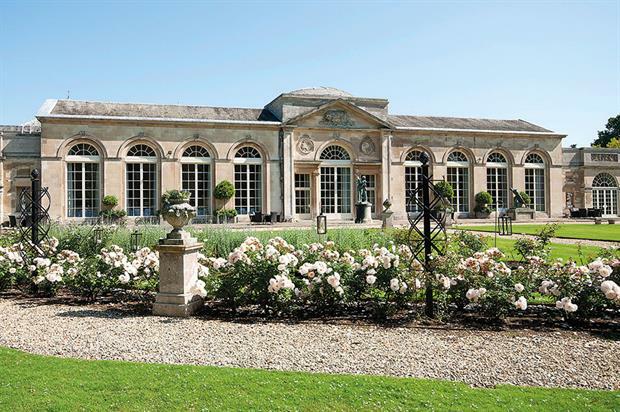 The HW Custodian Awards presentation is co-located with the inaugural Parks & Gardens Live showcase event also taking place at Woburn Abbey House & Gardens on 28 June. Tickets to the ceremony include free entry to Parks & Gardens Live. Parks & Gardens Live, curated by HW's Sally Drury, will offer parks and gardens practitioners the opportunity to learn about the latest products and kit through a product showcase and live kit demonstrations. They will also benefit from workshops led by leading experts in the field, expert advice on skills, careers and technical issues, plus head gardener-led tours of the garden estate. Master gardener and HW columnist Alan Sargent, who will be leading inspirational and informative workshops for senior parks and gardens staff and their teams, says: "I am delighted to have been invited to present workshop seminars at the most important event in the professional gardener's calendar. Almost by definition, professional gardening is the most engrossing and personally satisfying industry imaginable. Yet it is also one of the most lonely for many people." Sargent will bring his near 50 years of practical experience to bear on his seminar, which will look at the wealth of opportunity for professional gardeners of all ages and abilities, and explain how to build a progressive career structure designed to suit each individual. It is crucial to learn how to recognise and celebrate those opportunities and take advantage of them when they arise, he adds. "Gardening is a science without boundaries. I will be showing that the career of a gardener is also without boundaries - all you need is a passion to succeed and a willingness to allow your career path to lead you onwards and upwards." The line-up also includes Professor John Moverley of the Amenity Forum, who will provide an overview of current rules on pesticide use with advice for practitioners, plus integrated pest management and future developments. British Sugar Topsoil national topsoil manager Andy Spetch, who will be taking part in the showcase, says the show appealed to him because of its target audience, the central accessible location and "the fact it is called Parks & Gardens". "People will think it would be great to have a look and do two things: learn about the products and kit and also get a look round the garden and get some ideas," says Spetch, who supplies Woburn. British Sugar Topsoil will bring three of its best-selling products to Parks & Gardens Live - HortLoam, Landscape 20 and Sports & Turf, which will be shown for the first time at the event. Another showcase exhibitor, Danarm Machinery, is also a proud supplier to Woburn. It will be showing its LM5360HXA-pro wheeled pedestrian mower, a professional-use machine with a Honda engine. "They're used by contractors, local authorities, large parks and gardens and have a two-year commercial warranty," says managing director Karen Blanch. "Our machines are the type that can be used by National Trust and English Heritage. They give a very good finish. Although they are robust machines they give a very good cut." The Danarm TM3100 and TM3200 hedge trimmers will also be on display. "They're very low-vibration and very robust as well. They'll stand up to being slung in and out of a van." The firm will also show its largest brushcutter, the VF500, and expects to bring its lightweight models, the 27CC and 21CC. Education partner to the event Capel Manor will be talking with visitors about its brand new apprenticeship courses developed to fit in with the apprenticeship levy, which came into force this month, as well as foundation degrees for horticulture professionals wishing to extend their skills to a higher level in horticulture and garden design. Business development manager David Boyer will give a seminar for employers and employees. "In our mind these things live in a continuum, continuous learning," he says. "You can be thinking about this as something you want to do yourself on a student loan and out of work time. Or you might think about our products for employees." Other showcase exhibitors will include Reesink Turfcare, UK distributor of Toro turf-care machinery. It will bring the popular Toro LT-F3000 triple-flail mower and the revolutionary Groundsmaster 360 Quad-Steer. The LT-F3000 cuts longer, wetter and coarser grass in one sweep, so is ideal for maintaining areas that are cut as little as four times per season. The Groundsmaster 360 Quad-Steer copes with a variety of mowing tasks and can travel extended distances between jobs. Marketing manager Holly Jones says: "The location at Woburn Abbey is great for visitors and the machines we have chosen to bring are popular with our customers in this sector, so we hope will be well-received at the show." - To BOOK TICKETS to Parks & Gardens Live, go to www.custodianawards.com/parks- and-gardens-live. - To BOOK SPACE in the KIT SHOWCASE, email tim.lomas@haymarket.com. - For further event details, email sian.oneill@haymarket.com. How can parks win more support from sponsors? How are gardens increasing their visitor numbers?